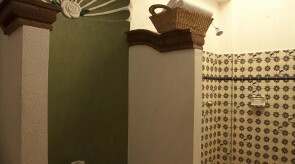 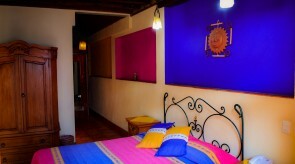 Charming room has a queen size bed, wood and wrought iron furnitures, woodbeam cealing and clay tile floor. 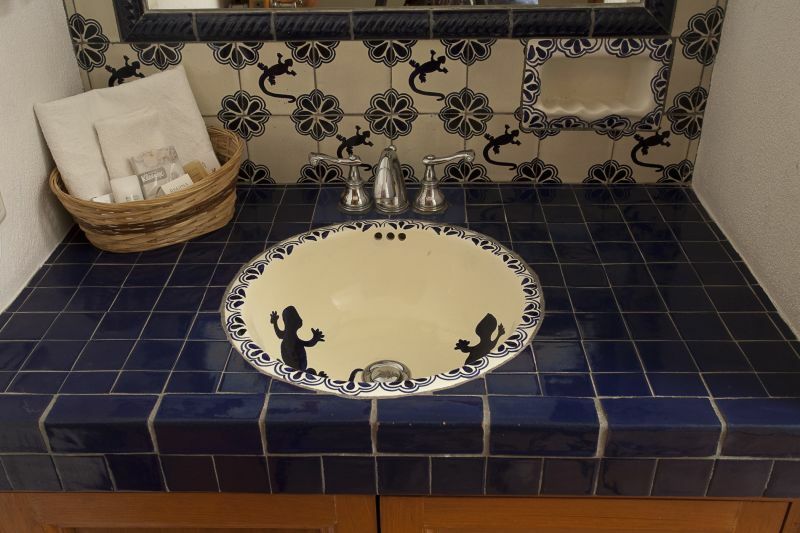 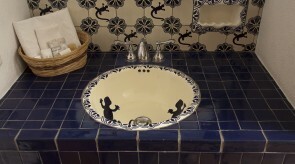 Bath with shower featuring handmade talavera tiling. 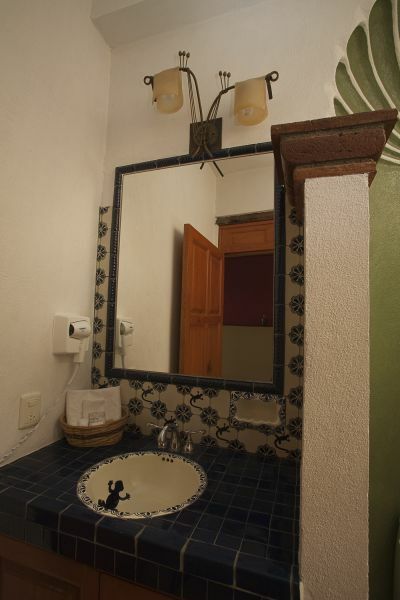 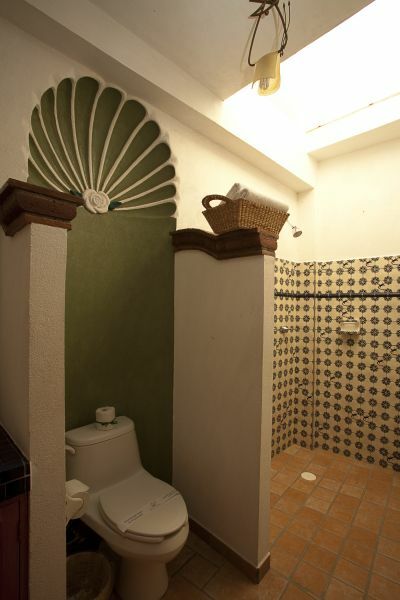 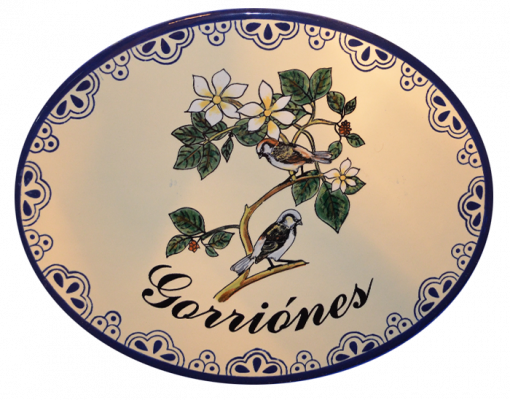 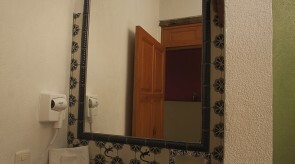 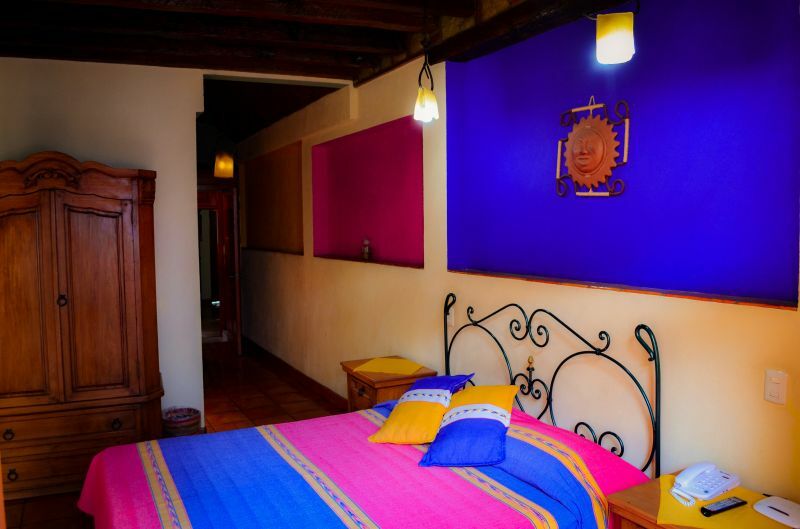 The room has a terrace from which you can enjoy the daytime and nightime of Guanajuato.